Hire a car from Easirent at Faro Airport (FAO), the gateway to the Algarve Coastline, just 4km from Faro city centre. The region is seasonal, with peak times from May until October. The warm weather, dramatic Atlantic Coastline, beautiful beaches, with many resorts and golf courses makes the Algarve a perfect destination for a fly drive holiday. Faro is within close proximity to the airport often overlooked by tourists, but well worth a visit. The historic town dates back to the 3rd century with unique architecture from the Roman and Moorish periods. Drive from Faro Airport (FAO) to one or more of the lively and popular resorts in the area such as, Quinta Do Lago (20km), Vale Do Lobo (24km), Vilamoura (24km), Albuferira (46km), Portimao (70km), and Lagos (93km). The resorts offer excellent golfing facilities, bars, discos, marinas, and casinos, however for authentic Portuguese hospitality drive out to the plateaux and plains of the Algarve to see craftsmen at work who sell pottery, brass and linen. Quinta Do Lago is one of the largest golfing resorts in Portugal and in the top 20 in Europe, hosting eight Portuguese Opens. The golfing resort has great natural beauty, with fresh water lakes and many pine trees attracting a variety of birds. Drive 60km out of the area to Ria Formosa and visit the sand dunes and tidal marshes home to many migrating birds. The resort of Vale Do Lobo is a luxury golf resort with a great selection of activities for all the family, such as tennis, sailing and swimming. The up-market resort offers a variety of restaurants such as the Japanese Ken Lo’s, an alternative to the shell fish restaurants and bustling cafe side terraces. Vilamoura is central in the Algarve coastline, again offering a luxury purpose built resort, removed from traditional Portugal with high end hotels, apartments and golf courses. The bustling Vilamoura Mariana has 1,000 berths for yachts and boats, the many shops a casino make for a glamorous holiday destination. Albufeira is also centrally located, the old town is lined with cobbled streets, restaurants and bars. The resort is lively with the nightlife centred on the marina in Sao Joao, surrounded by coral coloured apartments and sandy beaches the resort is perfect for families’ couples and singles. Portimao is an international city gaining in popularity, attracting the higher end of the market with beauty beaches, commercial centre ports and local attractions. Lagos is an ancient marine town, and a municipality at the mouth of the River Bensafrim and along the Atlantic Ocean. The town offers visitors beaches, bars, restaurants and hotels. Faro Airport (FAO) (built in 1966) is the only airport in the Algarve with Seville in Spain being the next closest, which is two and a half hours drive away. Faro Airport (FAO) is small (only one terminal) and provincial, but has seen significant growth of 42.5% between January and April 2011, from UK, Spain and France. 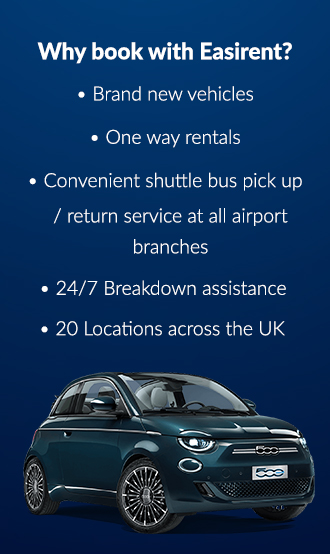 Ideally located for car rental Faro Airport is close to the A22 toll free highway, with connections throughout the Algarve and Lisbon. Faro Airport (FAO) is under further expansion with improvements to the runway and infrastructure, increasing capacity from 6 to 8 million. Faro Airport (FAO) offers and ATM machines, bureau de change, duty free shopping; with many bars and restaurants that offer refreshments. There are also conference facilities available for passengers travelling on business.